Is YELLOW your corporate colour? Last but not least, week 6 of 6 - Yellow Promotional Products! Vivid Promotions' has a great range of Yellow Corporate Gifts for your next campaign or business launch! With a wide selection of Printed Yellow merchandise items, the possibilities are practically endless; Branded Yellow Anti Stress Toys, Yellow Insect Repellent, Branded Yellow Visors and Yellow Promotional Cooler Bags are a few of our popular items available in yellow. Matching your logo with a corporate coloured Promotional Product is the best way to advertise your business - here are some ideas below! 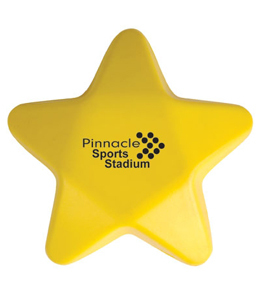 Anti Stress Yellow Star: Vivid Promotions' Custom Printed Anti Stress Yellow Star is a great merchandise items for fundraisers, sports events and anyone wanting to generate great brand exposure! This low cost Anti Stress Toy can be printed with your 1 colour logo on both sides for added exposure. Anti Stress Shapes help alleviate stress after a hard day and make great gift ideas for all ages! Yellow Foam Visors: Printed Promotional Foam Visors are fantastic low cost merchandise items for sports events, outdoor functions, summer gift ideas and more. This 2.5mm thick Foam Visor can be adjusted to 6 different sizes to suit all receivers! 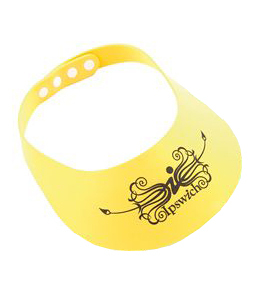 Print your corporate logo on this Yellow Visor to promote your message at an affordable price and get ready for summer! Citronella Insect Repellent: Spring has sprung and out come those pesky insects! Keep them away with our handy Insect Repellent Spray; made from all natural ingredients including citronella and tea tree essential oils, Vivid Promotions' Insect Repellent Spray is great for outdoor events. 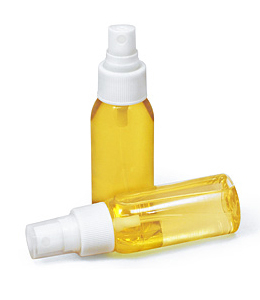 Presented in a handy 50ml Spray bottle, you can pad print your logo or have printed on a full colour digital label. 6 Can Cooler Bag Printed: Check out this handy Cooler Bag! 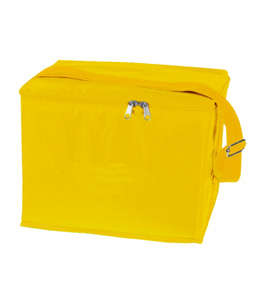 Available in yellow, this Branded Cooler Bag can fit up to 6 cans and can be printed on the lid or front and back for added brand awareness. Perfect for tradies, school kids and anyone wanting to keep their lunch cool! With foam insulation, double zip closure and adjustable carry handle, it doesn't get much better than this. Choose Yellow Promotional Products to match your corporate logo! We have a great selection of low cost gift ideas and promotional products presented in your corporate colour to enhance brand awareness. With thousands of products to choose from, Vivid Promotions' is sure to have the perfect product for your next event. A few ideas to get you thinking are our Standard Yellow Balloons with print, Anti Stress Yellow Hard Hats, Branded Yellow Coffee Mugs, Yellow Promotional Carpenters Pencils, Printed Yellow Tape Measures, Embroidered Yellow Caps, Branded Trade Show Bags and Printed Yellow Silicone Wristbands. Present your clients with a memorable Promotional Product that ties in with your corporate colours and maximises your brand exposure. Contact Vivid Promotions today on 1300 72 70 92 to discuss further options for your next campaign. 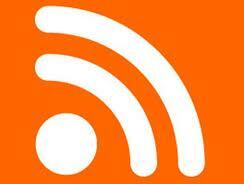 IMPORTANT NOTE: Pricing does not include set up charges, 10% GST or delivery charges.